Mukesh was born on 5th March 1961 in Pattathanam, Kerala. He made his film debut with Ithu Njangalude Katha in 1982 opposite Sreenath, Jagathy Sreekumar and Shanthi Krishna. His first blockbuster hit was Odaruthammava Aalariyam in 1984 opposite Shankar, Sreenivasan and Nedumudi Venu. His biggest initial hit was Ramji Rao Speaking in 1989 alongside Saikumar, Innocent, Devan and Rekha, the film was a major breakthrough in his film career. He ventured into film production in 2007 and founded Lumiere Film Company with actor Sreenivasan. 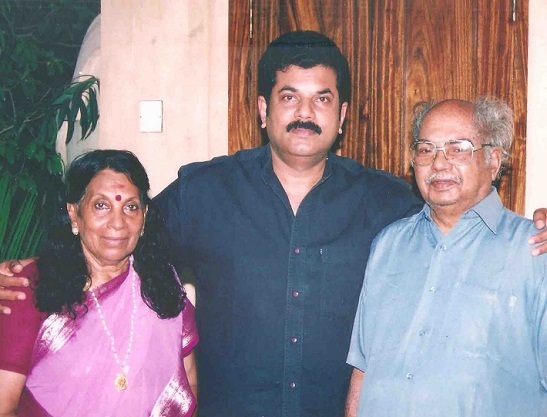 The first film out of the company was Katha Parayumpol in 2007 opposite Sreenivasan, Mammootty, Innocent and Meena was a huge box office success. The second film from the company was Thattathin Marayathu in 2012 starring Nivin Pauly, Aju Varghese and Isha Talwar was also box office hit. Apart from films he also hosted few television shows like Kodeeswaran, Super Talent, Deal or No Deal etc. He also worked as a radio anchor on show named Laksham Laksham Pinnale in 2013 aired on Super 94.7 fm. Mukesh authored a book titled “Mukesh Kathakal – Jeevithathiley Nerum Narmavum”, which is a collection of his personal humorous experiences during his life. He was born to O. Madhavan and Vijayakumari. His father O. Madhavan was an actor, writer and theatre director. He founded renowned drama company named “Kalidasa Kala Kendram”. 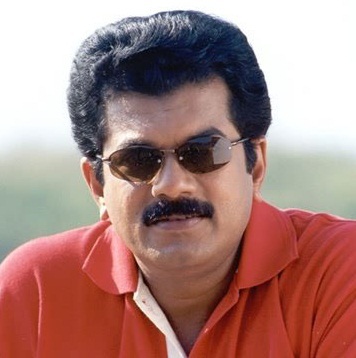 He won Kerala State Best Actor Award in 2000. His mother was an actress. He has two younger sisters named Sandhya and Jayashree. 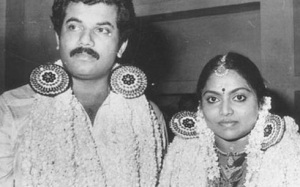 Mukesh married actress Saritha in 1989. She acted in more than 140 films in several languages including Tamil, Malayalam, Telugu and Kannada films. 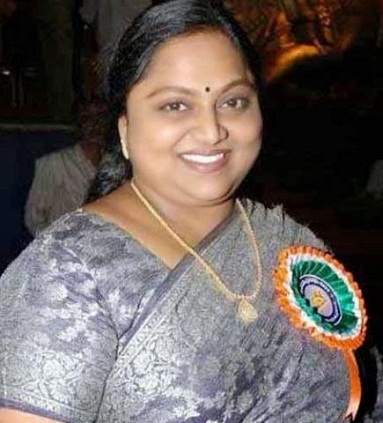 She made her film debut with Telugu film “Maro Charithra” directed by K. Balachander in 1978. The couple gave birth to two sons named Sravan and Thejas. Sravan is studying medicine in Dubai and Thejas is pursuing his higher education in New Zealand. 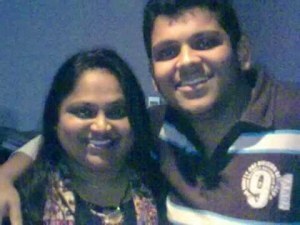 Mukesh and Saritha broke up in 2007. Mukesh married Methil Devika on 24th October 2013. She is a dancer, educator and choreographer. She worked as a lecturer in Kerala Kalamandalam University, Kerala. Devika was married to Rajeev Nair for few years before marrying Mukesh. She had a son named Devang born out of her wedlock with Rajeev Nair.